John Fife: Road - Sacrilege! You could be forgiven for thinking this is April the 1st, when it is actually only March the 1st. That's because Land Rover have just announced that they are to build an electrically powered Defender. What? No chugging? No diesel rattle? No exhaust fumes hanging in the air? No blipping the throttle just for the hell of it? How could they? This last bastion of rugged and sweaty manliness has been under threat for some time with LR's design team keen to bring the stone age design into the 21st century. And despite the fact that their modern DC100 concept has been well received, when displayed at motor shows, most viewers walk away thinking 'it's nice, but it's not a defender'. 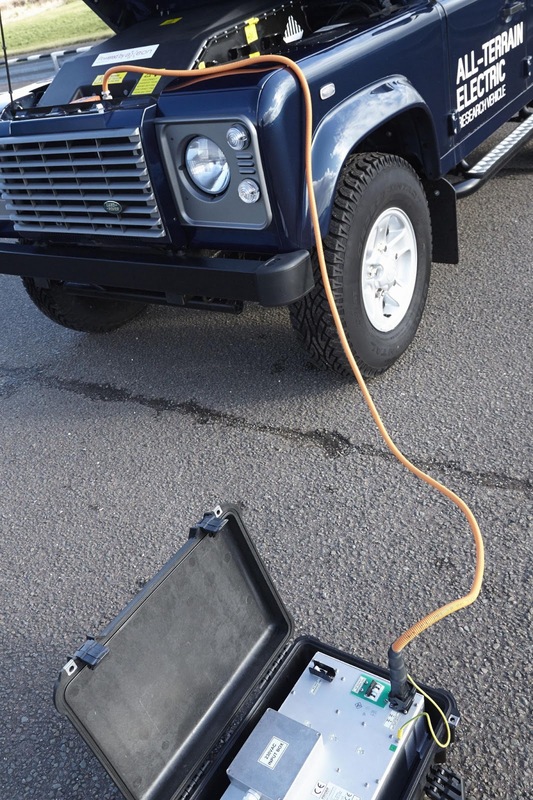 Although there are no plans for series production, Land Rover have built seven electric Defenders for research purposes. The standard diesel engine and gearbox have been replaced by a 70 kW (94 bhp), 330 Nm electric motor with a 300-volt, lithium-ion battery pack with a capacity of 27 kWh, giving a range of more than 50 miles. In low speed off-road use it can last up to eight hours before recharging. The battery can be fully charged by a 7 kW fast charger in four hours, or a portable 3 kW charger in 10 hours. These vehicles retain the four-wheel drive system and differential lock, and because the electric motor delivers maximum torque from the moment it starts, there’s no need for gear shifting. The transmission comprises a single speed, 2.7:1 reduction gearbox combined with the existing Defender four-wheel drive system. 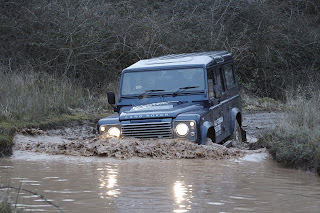 Apparently, trials included pulling a 12-tonne ‘road train’ up a 13 per cent gradient and wading to a depth of 800 mm. 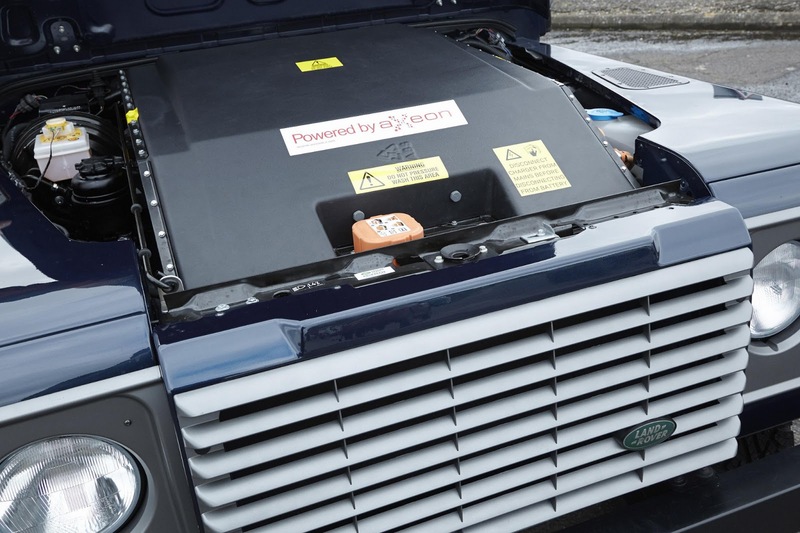 The battery weighs 410 kg and is mounted in the front, in place of the diesel engine, with kerb weight increased by 100 kg over a basic Defender.